It was 1994. My parents had brought home a Dolphin home computer, which had just a keyboard and possibly a small CPU in there which could run LOGO. Having been exposed to a computer just a year earlier, the 9-year old me was fascinated to see how that piece of keyboard connected to the television and the way I could draw on the monitor. I tried to form my own form of a treasure hunt (without even knowing what the term meant) and was half-successful in that. 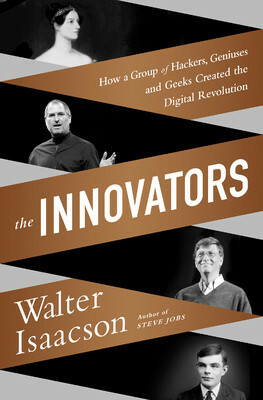 Reading The Innovators by Walter Isaacson, the author of the best-selling autobiography on Steve Jobs, I was reminiscent of those times in addition to being in awe of each of these ‘inventions’ or ‘innovations’ presented in the book. The book follows a mostly linear perspective to show how Digital Revolution evolved from the early half of the 19th century to the second decade of the 21st century. The title caption says ‘How a Group of Hackers, Geniuses and Geeks Created the Digital Revolution’ and indeed without a doubt one can say every one of these innovators was a genius in his own right. In addition to being a genius, the innovators fell into various categories including generous, eccentric, selfish, workaholics (for sure), childish, loners, and more. Above all, as Isaacson mentions in his book, they were all (mostly) wonderful collaborators. There are a couple of statements in the last chapter of the book that read: ‘People don’t invent things on the internet. They simply expand on an idea that already exists.’ The whole book is a wonderful piece of well-researched history on how the ideas from one time moved to another influencing innovations when people worked collaboratively. From Lady Ada Lovelace to Charles Babbage to Shockley to Gordon Moore to Bill Gates to Steve Jobs to Larry Page to Evan Williams (I sure have missed many important names in between), the book gives a great insight into their background, what ticked them intellectually, their shortcomings, their contributions to the world the way it is today, and most importantly how each of them collaborated, despite their differences, with their peers and contemporaries. The book also lists a variety of disputes including the ones on who took the credit for the invention of the transistor, the Apple and Microsoft issue on GUI based operating systems which was originally designed by Xerox, the patents for microchips, and many more. It is to be noted that despite a lot of the idea springing up at the same time, the population remembers the name of the person who was either most influential or the one that the media portrayed as its maker. It was news to me, an Electrical Engineer, that Shockley was not the only one to be responsible for the creation of a transistor. As mentioned earlier, the book traverses a nice story-telling approach linearly with each of the key figures of the era that ushered in the digital revolution, and packs in a lot of detail. While the book on the whole is an easy read, there are a few short chapters in the middle on the video games and the initial discussion on internet which got a little too monotonous with too many inventors finding their name there. But the author quickly gets bad into the earlier mode and pens the most important chapter of them all: Software. This included a focus on Operating Systems and spoke about the two most important people in the history of Digital Revolution: Bill Gates and Steve Jobs. 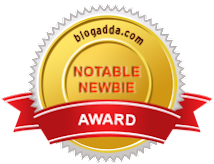 The book culminates with two wonderful chapters on the web, one of which included the stories of Blogger, Google, Yahoo!, and Wikipedia, among others, and the other was aptly titled Ada Forever. This spoke about how computers despite all their power could not perform one function, exactly what Lady Ada Lovelace predicted two centuries earlier: using their own intelligence to make decisions. Overall, The Innovators is a well–researched, well-detailed, and well-written piece of literature on the Digital Revolution. While the book does have its slow moments, it is a compelling piece of read in the overall of scheme of things. If you are an engineer or a computer scientist, you’ll be amazed to see how much you do not know about the inventors and their inventions. If you are not an engineer or a computer scientist, you will see how products that you use in your day-to-day life came about to be and perhaps you’ll stop equating engineering with information technology alone, and equate it to inventions too. Nice review, Lakshminarayan. Your book reviews are coming out really well. Read every one of them.